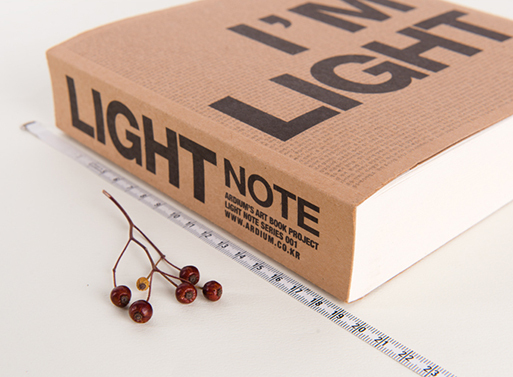 These notebooks are just what they say they are: light. 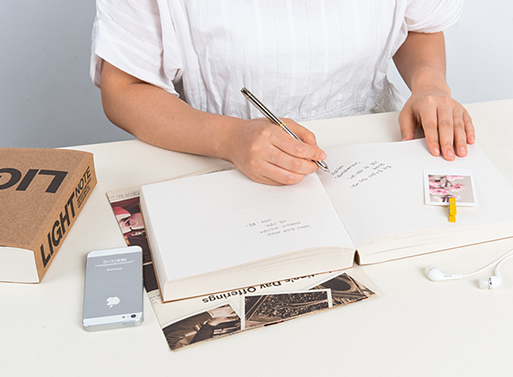 With over 600 blank pages to fill with your creative ideas and drawings, you’d expect them to be dense and heavy. 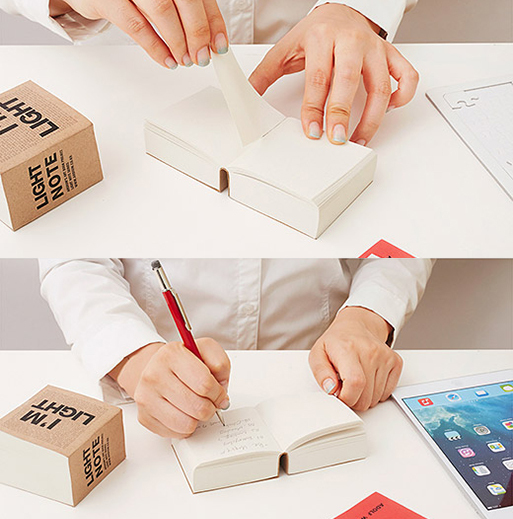 However, they’re made from high-quality eco friendly paper, so they’re surprisingly light. And, for those of us that like to fill the whole page, the binding lays flat. Thumbs up. Available from Mochi Things, $12.95+.